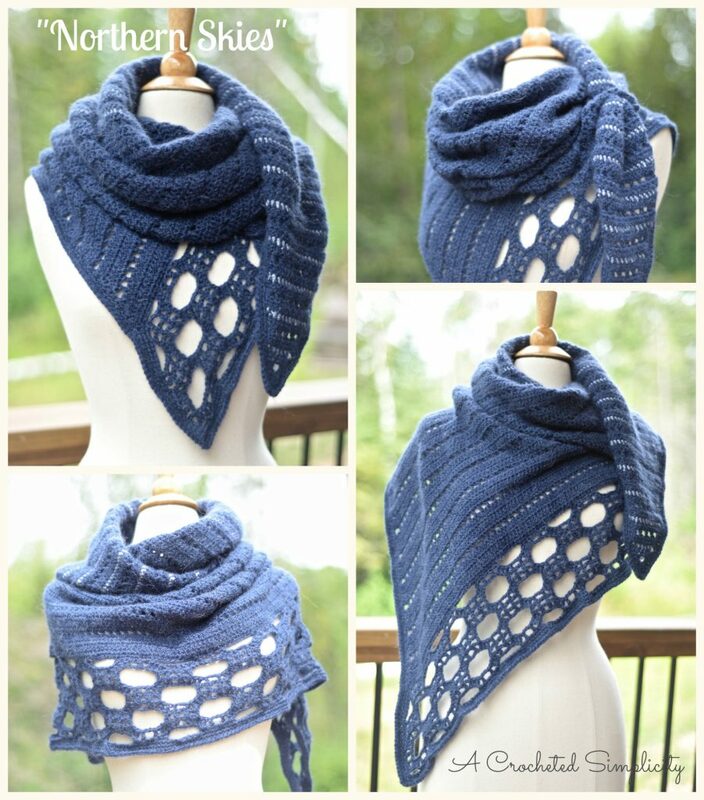 The above collage shows just a few ways I was able to style the “Northern Skies” Convertible Scarf & Wrap on Mandy (yes, I name my mannequins…Fun Fact: Mandy is a Medium, hence the reason her name begins with a M..LOL). Let’s chit chat a bit about the yarn! 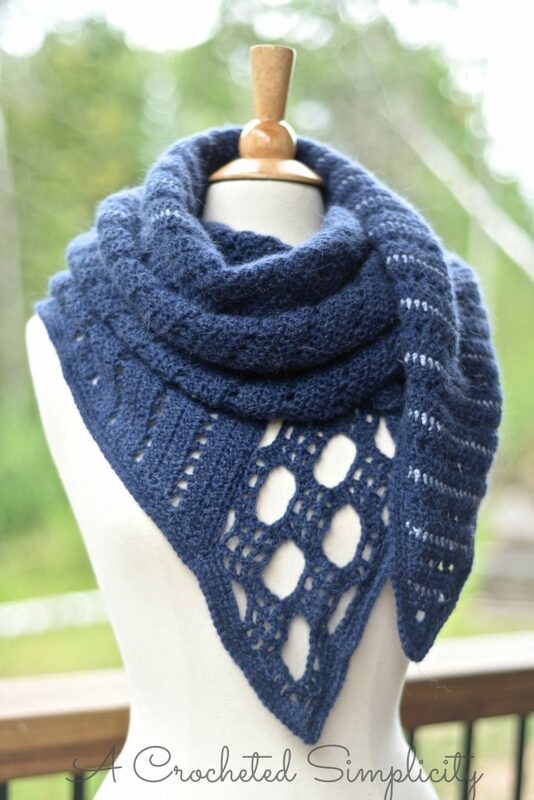 For this design, I used a yarn by Premier Yarns: Deborah Norville’s Alpaca Dance. This yarn is classified as a worsted weight (4) yarn (I believe it’s because of the halo of alpaca that it has making it just a tad thicker), BUT it really works up like a very light worsted or heavy DK. Because of this, the drape it lends to this scarf is dreamy. It is a 75% acrylic and 25% alpaca blend. The scarf itself takes less than 3 balls of this yarn if worked in a solid color, but I worked mine with a little accent of Silver Fog so I ended up purchasing 3 balls of Blueberry & 1 ball of Silver Fog. This design is available in all 3 of my shops by clicking on the following: Ravelry, Etsy, or Craftsy. 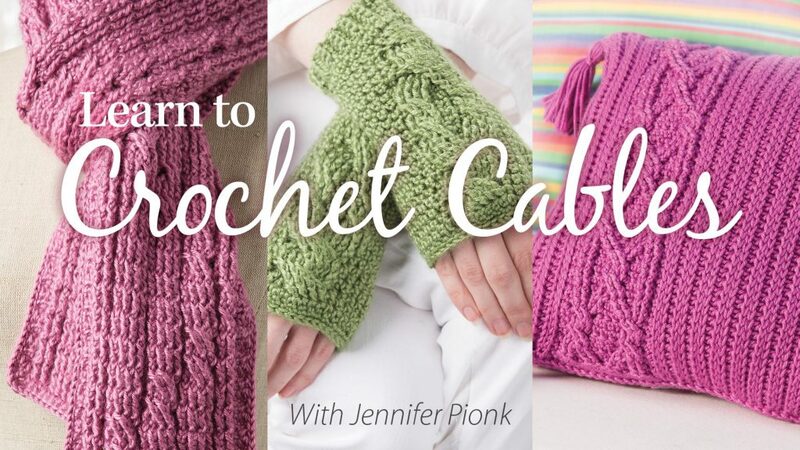 *Take a class from our affiliates and learn how to add bling to your crochet projects! What colorway will you use to make yours? Or who will you make one for? I’d love to see your finished projects. Please share them with us in my Facebook Group: A Crocheted Simplicity Crochet Community.